Laminate flooring underlayment is very important when it comes to durability of your laminate flooring. Laminate flooring underlayment works as moisture, temperature and sound barrier. Moisture can easily damage laminate flooring so it is very important to protect it with proper underlayment. Concrete is very cold and underlayment acts as an insulation for laminate. Laminate flooring doesn`t have the thickness like solid wood, so sound is transferred easily. Laminate flooring underlayment absorbs sound. If underlayment on concrete is not installed properly, your laminate won`t last very long. It is very important to choose correct type of underlayment for maximum life span of your floor. Different underlayment is recommended for different kind of surfaces on which laminate is installed. Wooden surface requires different type of underlayment as concrete or ceramic tiles. Underlayment for laminate flooring on concrete levels out all imperfections of concrete that could influence proper ware and stability of laminate floor. Majority of new buildings today have concrete floors. Concrete basement needs to be improved with a flooring of your choice. Installing laminate flooring on concrete is very quick way to install your new floor or to replace your old floor. It is very cost effective because you can do all the work by yourself. 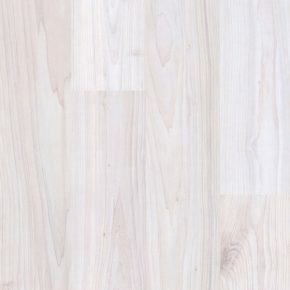 We offer many colours and textures of laminate flooring. We also provide professional installation on concrete if client needs it. Our professionals offer high quality and reliable installation service. 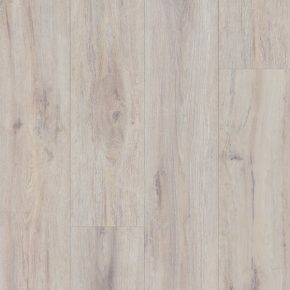 Laminate flooring has very different prices depending on quality and properties. For example water resistant laminate has higher price than ordinary laminate which is not suitable for humid rooms with concrete floors. Laminate flooring with underlayment attached also has higher price than laminate without underlayment. Best laminate flooring underlayment for concrete is foam which can be 6-8 mm thick. There are many kinds of foam which have different functions. Some foams have additional thermic layer so they offer maximum protection for laminate flooring. Foam underlayment is sold in sheets that are packed in a roll. Foam underlayment works best in combination with vapour barrier which is placed between concrete and underlayment. Underlayment is easy and quick to install on concrete but you must be careful not to tear it. You can also buy laminate flooring with underlayment attached. That way installation of laminate flooring on concrete is even quicker and cost effective. This system saves you time because you don`t have to cut the underlayment.